Your Documents Please has reached New York, its final destination. This giant exhibition has travelled around the world during the past three years. 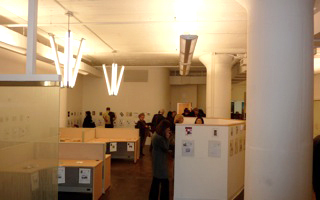 “More than 270 artists living in 27 countries have created passport/ID documents for “Your Documents Please,” an international traveling art exhibition. 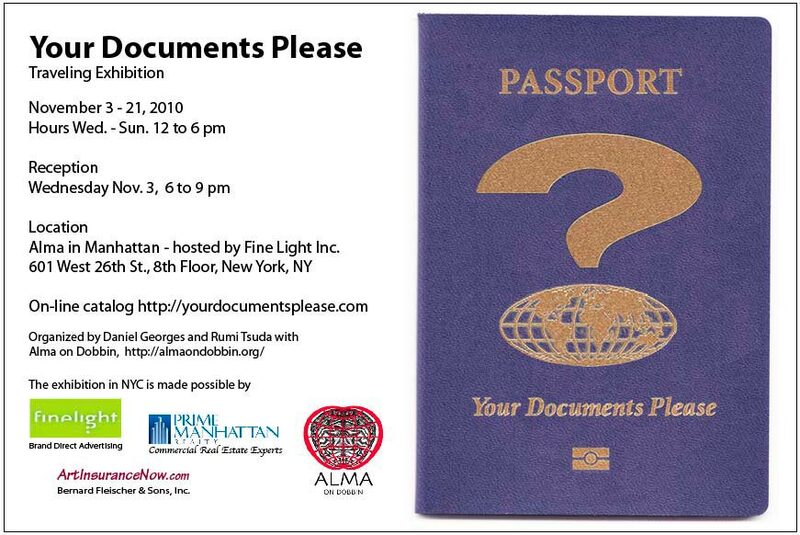 The organizers Daniel George and Rumi Tsuda, in conjunction with the New York based arts organization, Alma on Dobbin, asked participants to make a small artwork (the size of a conventional passport or less) that functions visually or conceptually as if it were an identification document.” (-from the Your Documents Please website). The New York venue is Alma in Manhattan in the Chelsea gallery district. The hundreds of small scale works in Your Documents Please has now been shown in Japan, Hungary, Germany, Slovakia, Mexico and the USA. The galleries are in Museum of Arts and Crafts – Itami in Itami, Japan; ZAIM and Galerie Paris in Yokohama, Japan; 2B Galéria in Budapest, Hungary; Galerie Kurt im Hirsch in Berlin, Germany; GALÉRIA Z in Bratislava, Slovakia; Galería Ajolote Arte Contemporáneo in Guadalajara, Mexico and Alma in Manhattan in New York. Installation view at the first venue, the Museum of Arts and Crafts in Itami, Japan.